Learners develop addition fluency and fine motor skills in one easy to use resource. 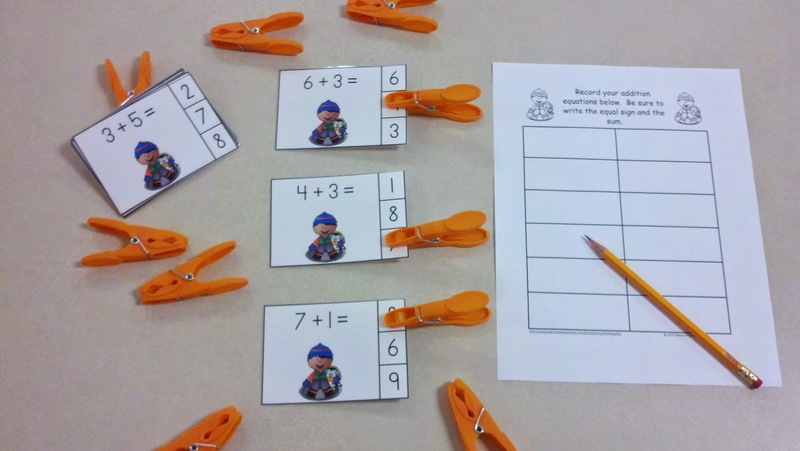 There are five sets of addition clip cards included in this resource. There is a recording page with matching graphics for each set of cards. The cards may be used with or without the recording pages. This resource is great if your school limits copying. One of my friends lets her learners record their responses in their math journals instead of printing and copying the recording pages. She just prints and laminates the cards. She can use the cards year after year. She has engaging math activities and documentation of her students' performance without making copies. The cards make great early finisher activities, too. 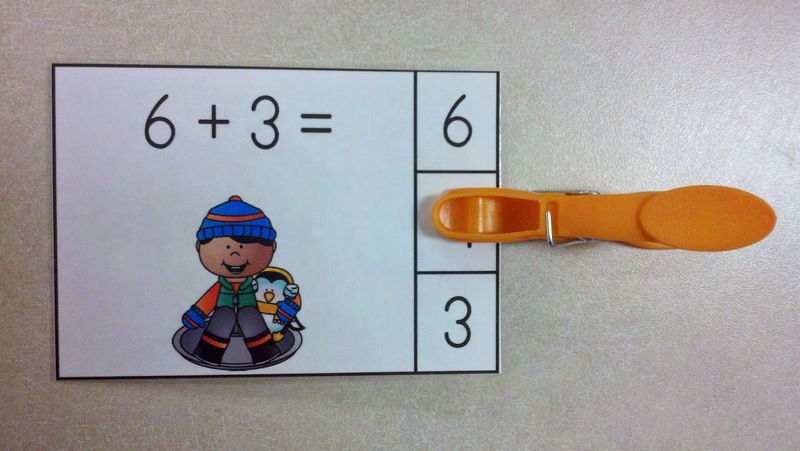 Just put the cards and clips in a zippered supply pouch or plastic bag for a quick and easy early finisher activity.